« Tropical Storm Edouard Update: Blow Me! If you listened to the radio in the 1980s – if you even had ears – you heard the music and the musicianship of Toto. Even if you didn’t know it. This group, formed in 1977, virtually defined pop music in the 1980s and enjoyed incredible commercial success. Their songs, including “Hold The Line,” “Rosanna,” “Africa,” “I’ll Supply The Love” and too many others to mention, ruled radio. And their fourth album, Toto IV, sold millions and earned an armload of Grammy Awards. This was a group of savvy studio professionals – not only did they shine on everything they recorded as Toto, the band’s members also had a hand in some of the era’s biggest recordings: David Paich masterminded Boz Scaggs’ Silk Degrees, drummer Jeff Porcaro recorded and toured with Steely Dan; and so on. 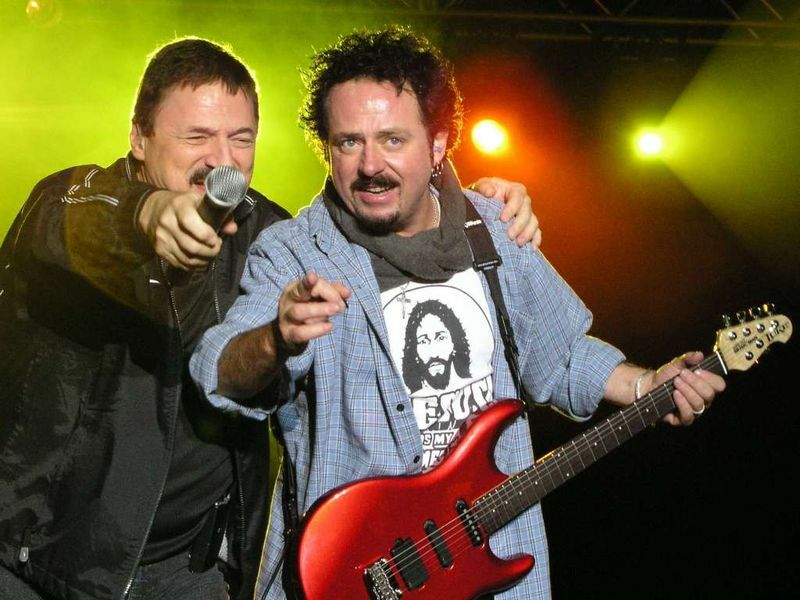 Lead singer Bobby Kimball, from the swamps of East Texas and South Louisiana, anchored this exciting sound as Toto’s lead singer. He was a founding member of the group then left in 1984 after the massive success of Toto IV. He rejoined the group in 1998 and fronted the band until they finally called it quits earlier this year. One of the great voices of rock music, Kimball describes what it was like to be one of the biggest bands of the 20th century, and what led up to its dissolution after three decades and 30 million records sold. 30 Days Out: Steve Lukather announced a few months ago Toto is officially done … what led to that decision? Was it something you all agreed on? Bobby Kimball: I think it’s been coming for quite a while. After 30 years of playing together (and each of us in solo bands), it was time to either break it up, or at least take a long break and later do a reunion tour. When Luke decided he wanted to quit, it was only he and I from the original band, and Luke thought it best that he get a solo band together. I, on the other hand, would have rather kept the band together, but without Luke, it would have just been me doing the Toto songs. I am working on a great solo CD myself now, and when I put my band together (and it will be a great band), I’ll be performing a lot of Toto songs on tour. I have a lot of plans in that direction, and since I’m from that area, and even lived a few years in Houston, I want to come back to my roots and play to my friends there. 30 Days Out: Growing up along the Gulf Coast, playing with musicians in Texas and Louisiana, what are some of the influences you had coming up? 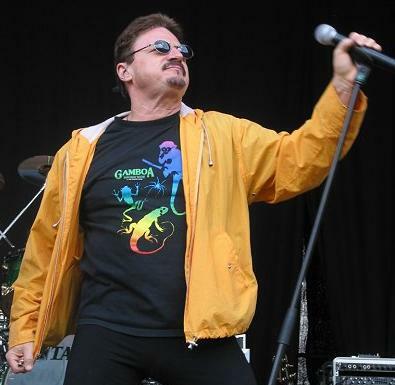 Bobby Kimball: “Black Music,” and that’s what shaped the way I sing. I played with some great cats from Louisiana and Texas back then. It was a music Mecca for bands where I grew up. There were so many 5,000-seater clubs, and they were full every weekend. The drinking age in Texas was 21 years old, and in Louisiana it was 18 years old. Can you imagine how many 18-year-olds were coming across the border to hear some great live music and get a buzz on? I felt like I was in music heaven playing in those clubs. Plus, the bands were fantastic, and you could hear some of the best musicians in any of those clubs. 30 Days Out: I have seen a photo of you with Jerry LaCroix and Jon Smith of Edgar Winter’s White Trash. Did you ever play with them (I seem to recall you worked on an Edgar Winter album later on)? Jon went on to play on Toto IV … do you keep in touch with the homeboys you played with in the early days? Bobby Kimball: Funny you should ask. I talked to Jon Smith yesterday. Jon was the very reason I came to Los Angeles in the first place. I got a call from him about 1974 while I was playing with the Levee Band (this was such a great band … it later became Louisiana’s LeRoux). Jon asked if I would come out to LA to sing with a new band that was coming together. It was the musicians from Three Dog Night after the singers left the band. That band was called S.S. Fools, and we did one CD on CBS/Sony. (When we wrote “Rosanna” and “Make Believe” for Toto IV, we needed a sax player, so I asked Jon because he was the reason I was with Toto.) The CD from S.S. Fools got so little promotion, it just couldn’t last more than a year. However, I met the guys from Toto then, because Jeff Porcaro and David Paich came to almost all of our rehearsals. They were contemplating producing the first album on us, but the band wanted to go with Ritchie Poddler who produced Three Dog Night. It was a really good album and I still like it. When Toto started looking for a singer, they were contemplating asking Michael McDonald (already with the Doobie Brothers), and Kenny Loggins (had his own band), and when they asked me, it took very little forethought to come back with a YES answer. 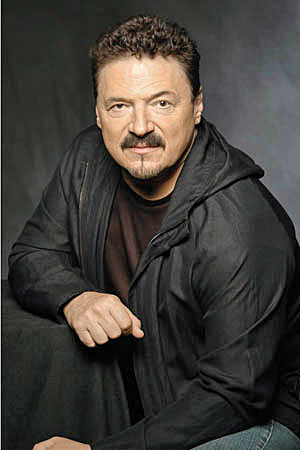 Bobby Kimball: I did sing on Edgar’s Winter Blues CD with Dr. John and Edgar. (I sang on) a great song called “Gettin’ Back Down To New Orleans.” I’ve known Edgar since I was a teenager, because he and Johnny had a band that played at the Catholic Center on weekends. It was an awesome band. Like I said, it was a Mecca for musicians there because there was so much talent around. Jerry LaCroix (former lead singer for White Trash and Rare Earth) and I have been friends for a very long time. He was singing with The Boogie Kings when I met him, and I thought he was a great singer and performer. Another singer there you didn’t mention is G.G. Shinn. He also sang with The Boogie Kings. What a fantastic band. 30 Days Out: When Toto started, how did the others approach you to be the singer? Bobby Kimball: Actually, we got together and recorded one of my songs that I had written two days before. It was fun, and we got it in two takes. Usually if a song didn’t sound great after two takes, the guys in Toto would just can the song. The second take on “You Are The Flower” was on our first album, and it’s still one of my favorite songs. I couldn’t believe how fast they locked into the groove and made it sound like magic. Very few groups of musicians have that ability, and that’s what made Toto a unique band. After that recording, I don’t think they had any questions that I should be their singer, and I really was going to argue with them about that. The rest is history. 30 Days Out: Lukather once said people tended to dismiss Toto because of the hit singles and its success. Yet you seemed to be a totally different band in concert. Do you think that is right, did you ever see the turnaround in people’s minds once they saw you play live? Bobby Kimball: We got a lot of what one would consider bad press that said “the band is too polished sounding.” I’m not sure what they were trying to say. Were we too good for them? Most of the critics didn’t like the band because we had either played or sung on almost every hit song out there during the 80’s. We were strong in the studio. As a matter of fact, we were nominated for NINE Grammys in 1983 for Toto IV, and we brought home an unprecedented SEVEN. No one had ever won that many in a single season. The very next year, Michael Jackson’s Thriller won eight Grammys – but the tracks were all Toto. We presented the Best Album of the Year to Michael that night. Bobby Kimball: Most people think Toto was just “Hold The Line,” “Africa,” and “Rosanna,” but that band could play anything in concert. I always saw an amazed look on the faces of people in the audience, because they didn’t realize the band was so diverse. We played Jazz, blues, rock, etc. It was a great experience. 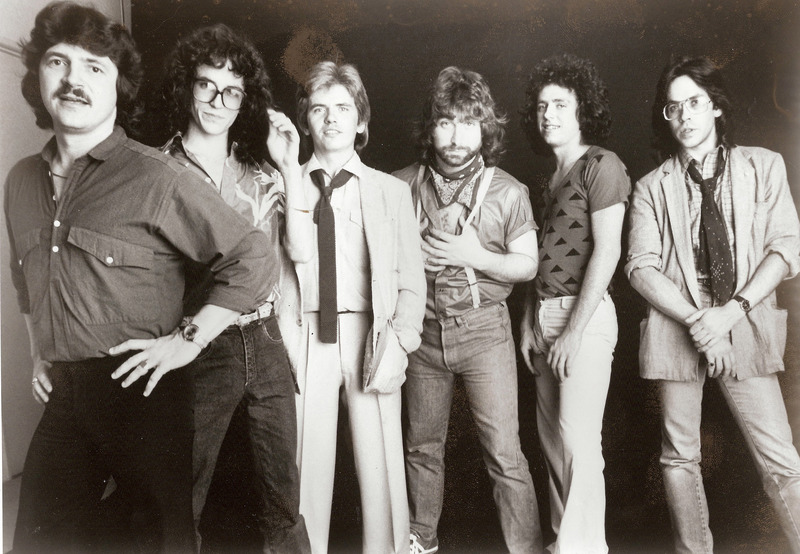 30 Days Out: After the massive success of Toto IV with the Grammy Awards and the platinum records, what was the dynamic both in the band and personally? What changes did you go through as a result of that? Bobby Kimball: We went straight back into the studio and started recording the next album. There were some personality problems between some of the guys, and about 3/4 of the way through that record, I was asked to leave the band. I told the guys that I wouldn’t call them to come back. I didn’t want to be where I was not welcome by everyone. Eventually, I got a call from Steve Lukather in 1998. We did the Mindfields album, and the band started getting better reviews and fuller stadiums. Not just because of me, but the band was closer to its original state. I suppose that was an attractive thing for the fans. Everything got better for all of us. 30 Days Out: What had to take place before you came back to perform again with Toto? How did it feel to get back to your old spot in the band? Bobby Kimball: It was all I thought it would be. I felt like I was Home Again. Nothing felt that good while I was out of the band, so I was very happy, and so was the band. We also started making more money on everything. 30 Days Out: What is it about Toto that appeals to audiences overseas? Do you think Toto could have continued and succeeded on a large scale again (like Journey)? Bobby Kimball: I know we could have (continued), but you have to have everyone’s heart into it. With Luke gone, the band just wouldn’t feel the same. I will get a great guitarist who sings, and I’m going to do the Toto hits on my tour. I see no reason to let great songs just die. I will be doing them. 30 Days Out: What’s next for you? I read about a possible project in the United Arab Emirates with conductor Phillip Maier, is that still happening? Bobby Kimball: That will happen. Phillip and I met when we played the Dubai Jazz Festival, and we became friends there. He asked me if I would be interested in doing a couple of nights with the orchestra and make a DVD of the performances. He’s working on the arrangements as we speak. I can’t give you a date just yet, but it will happen. 30 Days Out: What are your best memories of being with Toto? Bobby Kimball: Starting the band, hearing myself sing successful songs on the radio, winning seven Grammy Awards, night after night of playing with some of the best musicians on the planet, and getting to live in that environment for about 30 years. It was all a grand experience, and hopefully, someday, there will be a few more concerts with most of the original members. I know the fans would love that. Meanwhile, be looking for my solo CD which should be out by year’s end. Then I’ll be on tour worldwide, so come on out and see me. This entry was posted on August 4, 2008 at 3:48 pm and is filed under Uncategorized with tags Bobby Kimball, Steve Lukather, Toto. You can follow any responses to this entry through the RSS 2.0 feed. You can leave a response, or trackback from your own site. great article. I am a HUGE Toto Fan. Since the first album. Thanks Bobby. ..thanks 30 days out. As a jock on Seattle’s KJR I remember a party CBS Records held for Toto, they were brand new and had just released their 1st album. CBS wanted to introduce them to Seattle’s radio crowd. The party was packed on someone’s Lake Washington lawn. I believe it was Jeff who asked me “why are you all here”? I don’t think the label told them they were the showcase, we all came to see them. Jeff was blown away and quickly told the other members. What a great party…what a great band!!! You are a powerful part of any musical endeavor,and they suffer when you leave ! Bobby thank you for the beautiful e powerful voice. I like so much Toto since the first albun and I still heard you almost every day. Congratulations. I live in Brazil.